What can Microsoft partners do differently in 2018 to make a business breakthrough? We put that question to 16 top experts, including Karen Chastain, Director of Global Alliances and Partners, Episerver. For more tips on finding success in the Microsoft channel in 2018, read our full Marching Orders feature here. With women in only one of four jobs in the technology industry, it's clear that there is still a need to educate, recruit and keep women in tech roles. But talking about it is not enough. Unless companies put real time and effort into supporting the women in technology movement, they will miss out on talent needed to grow their business. Here are two simple areas where partners can get more involved in the moment: Join a women's organization and enable women within your company. Perhaps the easiest step is to join a women's organization. There are many active and meaningful women-in-technology networks and groups that can help you stay current on news, participate in events and be part of the movement. Many of these groups are not commitment-based and will enable you to educate yourself on current challenges, solution areas, ideas on how you can further embrace the women in your company and recruit talented women to fill roles. A few that I suggest are IAMCP Women in Technology (#iamcpwit), Microsoft Women in Partner (#mswomeninpartner) and Women in Cloud(#womenincloud). Surely, you have some talented women in your workforce already -- don't lose them! Encourage them to get involved in the networks I just listed, start an internal women's group, and even introduce a new initiative or event with your employees. At Episerver, we have put forward a few initiatives to help promote women in technology. I'm most proud of Digital Ninety-Nines, a podcast series that highlights the work of women who are leading digital transformation in their fields. Our goal was to carry the theme through in other ways, like our annual user conference, Ascend. At the conference, we hosted an all-women panel, including women from analyst firms, partners and customers. So, get started today, check out the networks and groups that are available to everyone. You don't have to be a woman to join! 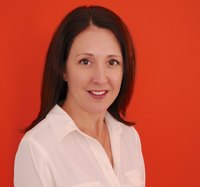 Karen Chastain, a proven leader in alliance management among the largest technology partners, is the director of global alliances and partners at Episerver. With over 15 years of experience in partner relationship management, building channels, strategic business planning and marketing, Karen consistently delivers results within global and cross-functional programs by building mutually beneficial relationships with partners.